North Carolina just added a new layer of meaning to its motto, First in Flight. This time the state is the first in the nation to get campus free speech off the runway. The North Carolina Campus Free Speech Act lofts the idea that college students and invited speakers have a right to express their views. It also puts public colleges and universities on notice that they must remain neutral on controversial political issues. My friend Stanley Kurtz, who helped write the model legislation on which the bill was based, wrote about “Implementing the North Carolina Free Speech Act” for the Martin Center. Among other matters, Kurtz drew attention to a provision of the law that requires public colleges and universities to submit an annual oversight report from their boards of governors on how well the institutions are doing in their efforts to protect free speech. Kurtz runs through several of the issues that these Boards of Governors could pursue in the effort to create a climate of institutional neutrality. As it happens, I’m an expert on one of these issues: the selection of books for common reading programs. North Carolina is no stranger to the controversies engendered by these programs. Typically a college or university picks a single book and informs all the admitted freshmen that they should read it before showing up in the fall. And typically the book that is chosen is rife with trendy left-wing political proselytizing. Think of Barbara Ehrenreich’s Nickel and Dimed, picked by UNC-Chapel Hill in 2003, which occasioned considerable controversy at the time. 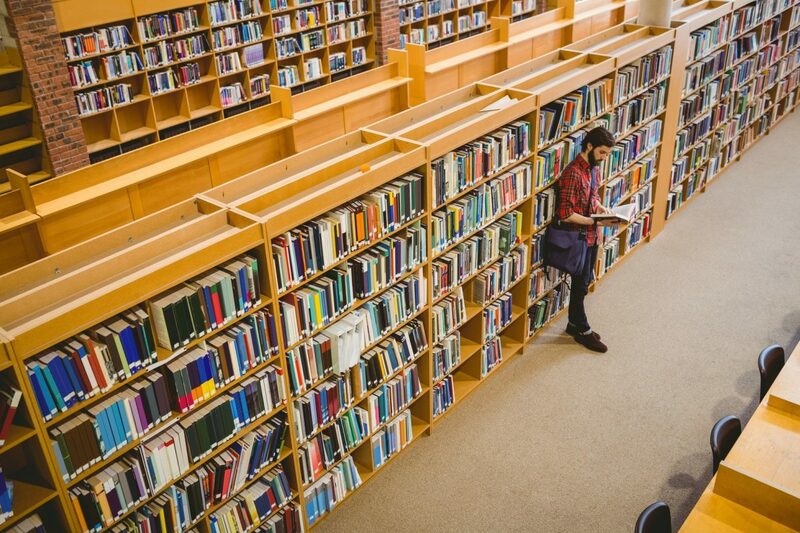 The selection of a single book is significant because it so prominently and emphatically presents to students what the university thinks is important. The book also becomes a touchstone for the entering class. In an era in which universities have abolished core required courses in favor of menus of dozens or hundreds of options, the freshman common reading is typically the only book that all (or most) of the students will read. This hands the new Boards of Governors Committees on Free Expression an excellent opportunity. Or, rather, two opportunities. On the one hand, they can look back to see what sorts of books their institutions have picked in the past. Those choices, like tree rings, testify indelibly as to what the campus climate has been before now. Are the tree rings mostly slickly packaged progressive propaganda? Or have the institutions picked respected works of literature, history, biography, and philosophy? On the other hand, the Committees on Free Expression or the Boards of Governors as a whole could take the opportunity to assume control of the selections. Who better to pick the single book that will represent the institution as a whole, and to guarantee that it will be a work in keeping with institutional neutrality? As it happens, my organization, the National Association of Scholars, has been tracking campus common reading programs for nearly a decade. We publish an annual summary of our findings under the title Beach Books. The newest edition, due out this summer, looks back over the last decade and provides copious details on who chooses what and why. Some of the findings are pretty disturbing. The vast majority of the books selected are very recent: younger than the students, and often published within just the last five years. That’s because the colleges and universities are racing to stay topical and putting no weight at all on the qualities that make a book survive beyond its immediate circumstances. When you are pushing politics on students, that’s what you get. We have also found that the “reading level” of most of the chosen books is surprisingly low. Most of the books are rated as appropriate for eighth and ninth graders, not college freshmen. Why do our colleges and universities aim so low? Making college look as easy as possible is a priority for many institutions. That’s something for Boards of Governors to wrestle with too. In an effort to improve the selections that colleges make, the National Association of Scholars has also published each year an appendix to our Beach Books reports in which we suggest fifty or more alternative books that colleges might choose from. Most of the titles are familiar to liberally educated adults. They include James Agee’s 1957 autobiographical novel, A Death in the Family, Jane Austen’s 1817 masterpiece Persuasion, and Charles Darwin’s classic account of his voyage around Cape Horn and across the Pacific, The Voyage of the Beagle. Somewhat to our surprise, our list of recommendations has been taken up by many adults as a way to fill gaps in their own lifetime reading. That by itself testifies to the value of the list, as it shows that these books (and books like these) can connect readers across the generations. Plugging college freshmen into a conversation that includes older siblings, parents, employers, grandparents, and myriad strangers they will meet in years to come is surely a better investment in their education than being up-to-date with the latest polemic against capitalism or in favor of the vegan lifestyle. This book examines the lives of test pilots and astronauts and chronicles the early years of the U.S.-manned space program. We picked it because (a) Wolfe’s sympathetic engagement with the pilots brings to life the human side of this hugely complex scientific and technical accomplishment, (b) the book exemplifies the rhetorical power of the “new journalism” when it was truly new, and (c) it offers a compelling portrait of courage and self-reliance. Dickens published this account of his travels just after his six-month visit to the United States. It is an unflattering portrait of a country that effusively welcomed him—far too effusively in his judgment. We picked it because (a) Dickens’ account of American character still resonates, (b) the book lampoons qualities in which Americans continue to take pride, and (c) it raises important questions about celebrity, status, travel, crime, law, and a host of other themes that still preoccupy us. We plainly don’t think college freshmen need to be protected from books that criticize America or raise troubling social issues. There are numerous worthy books that raise hard questions that students at the level of college should be prompted to examine. But it is far better to prompt them with books that exemplify excellent writing, that have stood the test of time, and that pose some degree of intellectual challenge. Our recommendations certainly don’t exhaust the possibilities. Our list is meant merely to show a path, not to pick every flower growing beside it. But what flowers are growing beside the paths that North Carolina’s public colleges and universities have been walking? Here is our spreadsheet of 38 North Carolina colleges and universities showing their common reading selections from 2007 to 2017. Some of the titles will be unfamiliar, but all can be readily looked up. In many cases, the National Association of Scholars has examined the book to determine its genre, major subject, and theme. Those can be found in Beach Books. So, for example, the book chosen by UNC Wilmington for 2017 was Little Bee by Chris Cleave, published in 2008. We list its genre as a novel; it major subject, immigration; and its theme Africa. This sort of classification says nothing about the quality of the work, only that it is a recent book on a politically controversial subject. Not all the books selected by North Carolina colleges and universities are bad. A few are terrible. Many more are mediocre. As a whole, they fall short of what we should expect from both the institutions and the students. A common reading should be at least a little stretch for the students. They are starting college, not Remedial Reading 101. They need a glimpse of material that is more challenging than what they saw in junior high school. With that in mind, I recommend that the Committees on Free Expression take charge of selecting the common readings and that they either pick from the NAS list themselves or delegate a selection from that list to an appropriate faculty committee. A case could be made for eliminating common readings altogether in view of how often the choices have been politicized. But there are many worthy books, and it seems a shame that a college education wouldn’t include any common readings at all. One book is better than no books. Books that have withstood the test of time. Books can be hugely celebrated when they are first published and win awards as well as the enthusiasm of readers, only to disappear within a decade. The passage of time draws its own distinction between fleeting celebrity and permanent value. College should focus on the latter. Books that have high literary quality. The book should model for students the power of written expression in the hands of an expert writer. Writers who are not-so-expert can publish interesting and important books too, but better that the book selected for a common reading be one that shows a master craftsman at work. Books at a reading level of at least 11th grade. We’re aware that many students now arrive at college without ever having read a serious book. The goal is not to pick something so difficult that students won’t even try, but the common reading should pose a moderate challenge. One goal of the program is to ready students for the challenges of the college curriculum. We do that by pulling them forward, not by catering to the weakest readers. Books that present important ideas and themes that will be new to most students. The excitement of college is that it opens intellectual horizons. The common reading shouldn’t be just another iteration of the same things that high school taught.